Welcome to the Year 4 News Page. Please click on the icons below to access useful information, links to resources and news about what we have been doing. 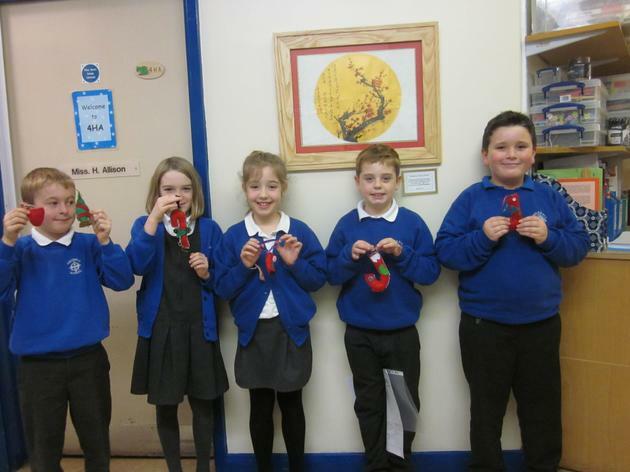 We got creative for Christmas and made our own tree decorations. 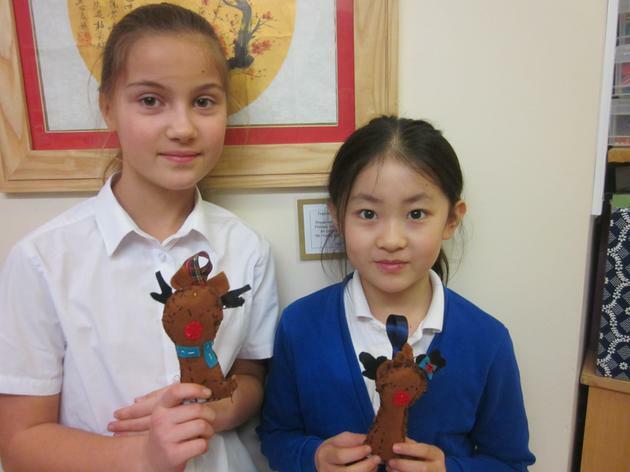 We picked a suitable shape and then decorated using our sewing skills. Just before half term, we were very lucky to have a visit from Loughborough University. 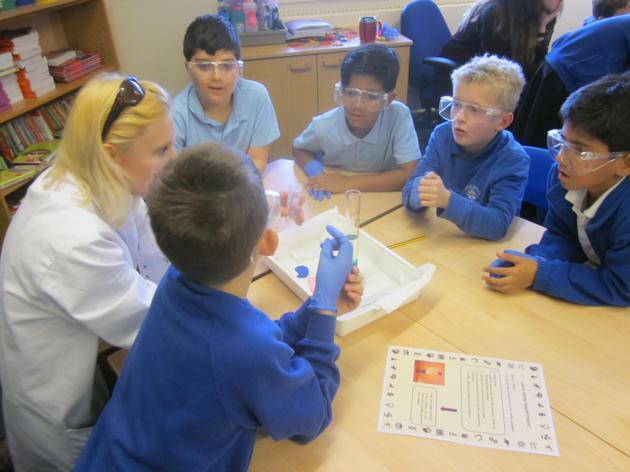 They worked with our year group on the States of Matter. We made lava lamps, played with Frisbees and investigated CD hovercrafts. 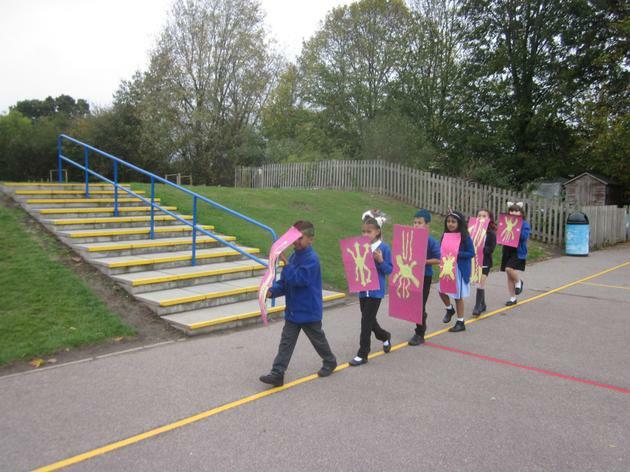 Year 4 had a fantastic day investigating all things Roman in our first term. 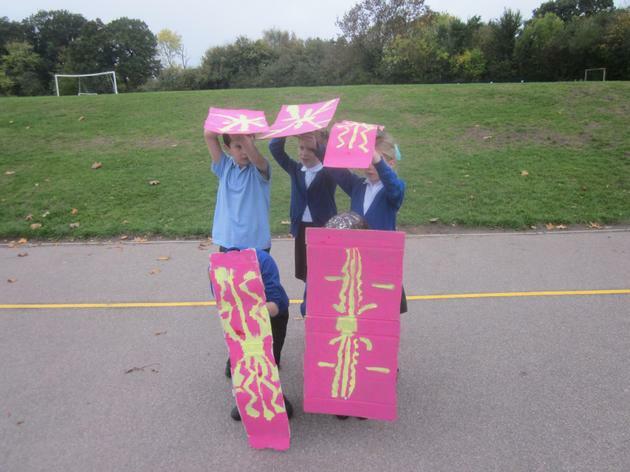 We spent a day doing Maths using Roman Numerals. 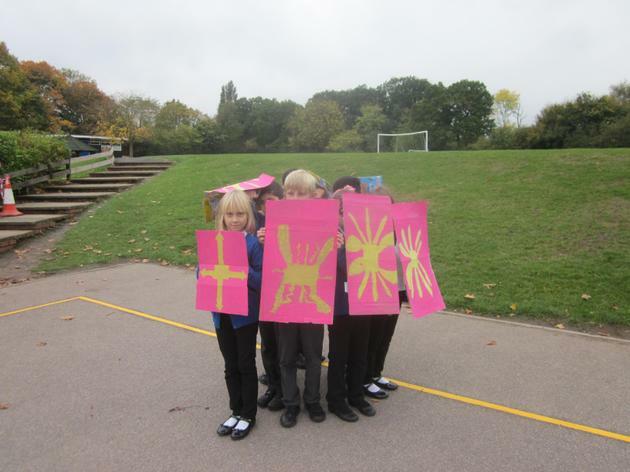 Spent time creating Roman-inspired art in the form of mosaics and finished the day learning how to be a Roman Solider.